My pumpkin this year features a Chinese dragon. As I was carving it I got some ideas for how to do it better next time (naturally) so I might do a similar one next year, but with more detail. A few of the highlights for me were Kristina Woolsey’s keynote on Pagespace and Screentime, in which she talked about how we can move back and forth between analog and dynamic modes of expression, using technology to make mediamaking easier; the chili cookoff — as an icebreaker, it rocked, and man was that some good chili; seeing all the different styles of visual notetaking as charts bloomed into color by the hour on every wall; Carl Moore’s $39 challenge; and the Bandelier National Monument visit, injury notwithstanding. But the absolute best take-away was, for me, the new friends I made and the renewed connections with old friends. What a wonderful community! Because of my sprained ankle I got to give my presentation seated on a kind of tall, wrought-iron throne with one leg propped up, and I think it really enhanced the experience for me. I think that once I am famous and have my own road crew I will demand a throne for each of my speaking engagements. There’s a lot to be said for the free-range, wandering-presenter model of speaking, which is good because it will be a cold day in hell before I have my own road crew, but in the meantime I will remember the glory of this particular setup and forget the sprained-ankle thing. 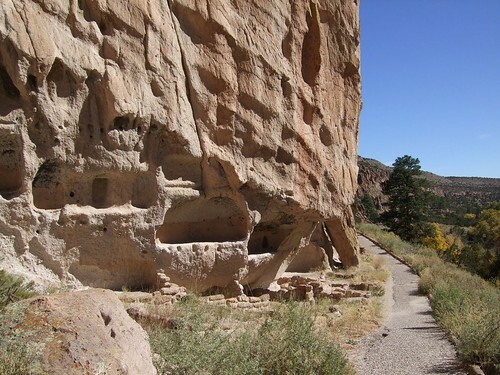 You can find pictures of the conference on Flickr, and I will post my little 90-second story about Bandelier as soon as I work out how to compress it to something webworthy. If you are one of those people who still don’t grok Twitter (and there are many, so don’t feel even a little bit bad about it), this may help explain it to you. Load the page, sit back in your chair, and just watch for a minute or two.